Best talk: Linda Palmisamo (University of New South Wales) – The LSM gene set and its role in modulating splicing efficiency in the cell. Best poster: Joanne Hulet (University of Melbourne) – The protein import receptor Tom20 from Arabidopsis thaliana is targeted to mitochondria in Saccharomyces cerevisiae. Open category: Sharon Guffogg (University of New England) – Stress response in novel Antartic yeast. From left to right: Isak (Sakkie) Pretorius (AWRI), John Wallace (University of Adelaide), Miguel de Barros Lopes (AWRI), Paul Chambers (Victoria University of Technology /now at AWRI), Paul Henschke (AWRI), Ian Dawes (University of NSW), Ian Macreadie (CSIRO Health Sciences and Nutrition), John Meneses (Coopers Brewery), Trevor Lithgow (University of Melbourne), Peter Rogers (University of NSW), Vladimir Jiranek (University of Adelaide), Paul Grbin (University of Adelaide). [Absent: Graham Fleet (University of NSW), Christina Mitchell (Monash University)]. Yeast fermentation industries continue to attract headlines, most notably, the recently proposed merger between a brewing-wine giant, Foster’s, and one of our best known and largest wine companies, Southcorp. Foster’s aims to become the world’s largest wine group through this merger. Corporate activities, such as these in Australia, owe some of their success to a significant history of fermentation and medically-based yeast research conducted in strategic as well as the applied areas across our nation. Now that a somewhat disparate group of scientists in Australia, with ‘yeast-based research’ being the only attribute they have in common, is approaching a critical mass, some have recognised the need to form better links to strengthen, expand, coordinate, collaborate and promote yeast research. The first step was to induce flocculation within this very amorphous group by holding an inaugural meeting in 2000. This Yeast: Products and Discovery (YPD) meeting was quickly followed by two subsequent highly successful meetings. YPD2000 brought together, for the first time, many likeminded individuals who use, as their prime research interest or tool, yeast. A kind of census of yeast research in Australia was achieved, and the resounding consensus was to flocculate again. The second YPD meeting in 2002, was hosted by CSIRO Health Sciences and Nutrition in Parkville, Melbourne. The most recent meeting of the Australian yeast community, the third Yeast: Products and Discovery conference ran over three days during April of last year. After a refreshing and relaxing welcome hosted by Coopers Brewery, the scientific sessions followed in the Vine Inn, set in the picturesque Barossa Valley. Appropriately, the wine yeast session and conference dinner were conducted in the historic Yalumba Winery. The annual grape harvest season, which was in full swing, provided an appropriate natural setting for both cerebral and social commune between researcher and researched. Another important step was to create a home base the Australian Yeast Group website, which was launched in December 2003. To reflect the current areas of yeast research, the program of scientific sessions was necessarily diverse and included yeast ecology, physiology, biochemistry, molecular biology, genetics and microbiology. Because of the immense cross-section of work in progress, the program committee decided to alternate the more applied topics of biotransformations, bioproducts, medicine, brewing, baking and wine yeast sessions with the more basic ones on stress, genomics, proteomics and metabolomics. The molecular biology sessions, which focused on protein location, folding and assembly, signalling and transport, and gene expression, provided both excellent overviews and application of state-of-the-art methodologies. Stress and aging, and yeast in medicine, gave excellent updates in these strategic fields which have an applied focus. The more applied fields, which explored yeast ecology, biotransformations and bioproducts, brewers, bakers and wine yeast, showed a maturing biology-focussed approach of combining physiology, molecular biology, etc. Both groups of participants commented that the mix of basic and applied sessions gave a constant level of interest not achieved by most mainstream conferences. Question time certainly reflected the great breadth of interest by all present, which overall gave a tremendously stimulating level of exploration of each talk. Curiosity questions, which are often neglected in large conferences, were happily entertained. In addition, the quality of presentations, especially by students, were outstanding. Students were encouraged to present their work orally, in a smaller, gentler, mentoring environment, though poster presentations were also welcomed. Several students remarked on the friendly and nurturing atmosphere of the meeting and quickly relaxed from a knotted mass of nerves; what role did the notorious yeast metabolite play? With 82 participants, the organisers believe they have attracted the greater majority of those who are actively involved with yeast research across Australia. The participants were split between 61 researchers and 21 students, with a small international contingent represented by 3 New Zealanders, 1 South African and 1 Californian. A breakdown across the states showed highest representation by South Australia (30) and Victoria (28), followed by New South Wales (13), Queensland (3) and 1 each from our national capital, Western Australia and Tasmania. As expected most participants are engaged in the academic environment (36) and research institutes (26), with an especially pleasing number of industry researchers also attending (20). The latter represented mainly wine and brewing companies, who were also important sponsors. The generous support of sponsors with both financial and tasty yeast produce was critical to the success of this meeting. ASBMB has again given substantial sponsorship to YPD by providing tremendous incentive for the involvement of students through three substantial student awards. Most importantly, ASBMB has now accepted the Australian Yeast Group as one of its Special Interest Groups. As a result of this support, organisers can run future meetings with a greater level of confidence and security, and work towards increasing student involvement, networking, and stimulating the pursuit of excellence. We are most indebted to the supportive spirit of ASBMB. Coopers Brewery most generously hosted the welcome reception at the Coopers Pavillion, in Adelaide, with a copious supply of freshly brewed beer that quenched many unsatiable thirsts, followed by a tour of the relatively new plant at Regency Park. Yalumba winery, whilst in the midst of the busy vintage activities of grape harvest and wine fermentation, sponsored YPD in a most generous and supportive manner. They provided their Cask Hall for the Wine Yeast session, a winery tour and tasting, and their Signature Cellar for wining and dining, which included a range of Yalumba wines, presented by their chief white wine maker, Louisa Rose, plus a wonderful selection of food and cheeses. Yalumba generously subsidised the dinner cost for students. Penfolds winery provided wine and Ballarat University donated beer to further stimulate discussion and bonding, especially amongst students. The fermented gifts of these sponsors left no doubt in our minds that yeast is an essential food and beverage organism, on which our research must continue to receive some attention. The Australian Wine Research Institute (AWRI) generously provided a highly experienced conference secretariat to handle registration and payments. This considerable cost saving gave us an additional opportunity to encourage student participation by further subsidisation of student registration. Lallemand Australia generously donated cash to support student attendance and delighted our taste buds with a variety of wines made with new experimental yeast. Stronger attempts will be made to encourage students to future meetings by subsidising the real costs of attendance. 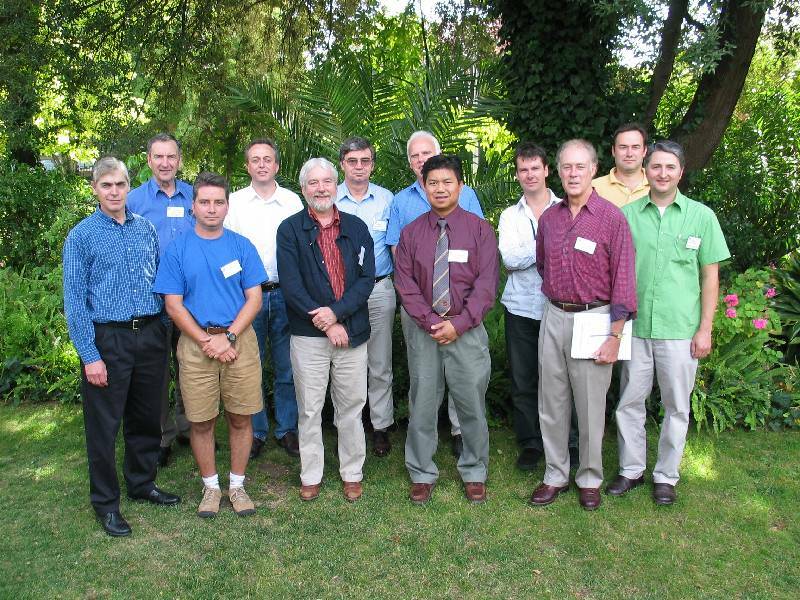 An important focal session of YPD2004 was to divine the future of yeast research in Australia, within a global context. To stimulate discussion, Professors Ian Dawes and Sakkie Pretorius were asked to provide a glimpse of the future for yeast researchers, to help map out a strategic plan, illustrated with key pointers from their own careers and experiences. The message was clear that it will be necessary to think bigger with a strong focus and to collaborate so as to compete more effectively with strong well-funded international groups. To advance this plan, the meeting decided to form a working group to investigate a CRC for Yeast Biotechnology. Dr Paul Chambers was nominated the coordinator, with progress being chartered on the YPD home page. A further step in the process of linking Australian and international yeast researchers will be the International Yeast Genetics and Molecular Biology meeting to be held in Melbourne in 2007. The success of future YPD meetings now seems well assured with the tremendous enthusiasm of the yeast community and support of ASBMB. 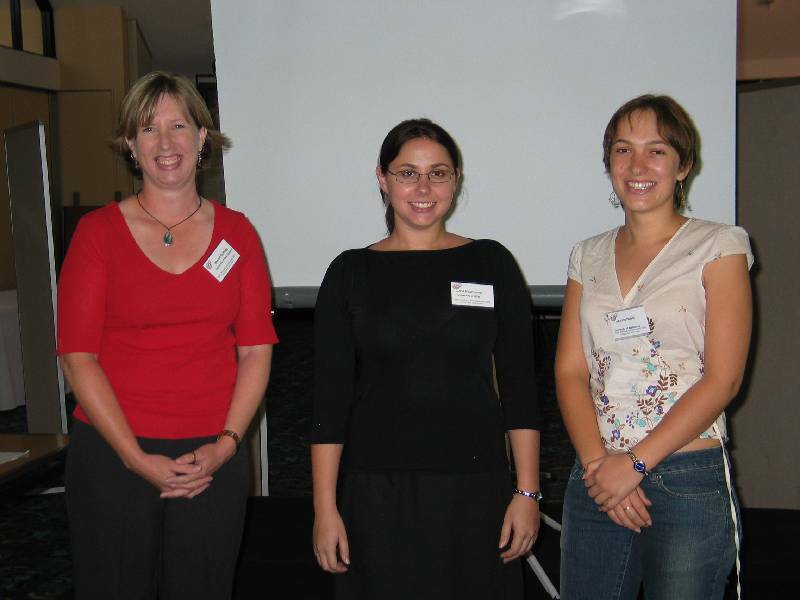 Representatives of the University of New South Wales proposed to host the next YPD meeting in 2006. This report was contributed by Paul Henschke on behalf of the YPD 2004 Organising Committee. The report was published in Australian Biochemist (2005) 36(1): 68-69 and is reproduced with permission from ASBMB. The report can be downloaded here (Adobe® Reader required): 2004 YPD report (4.3 Mb PDF file).